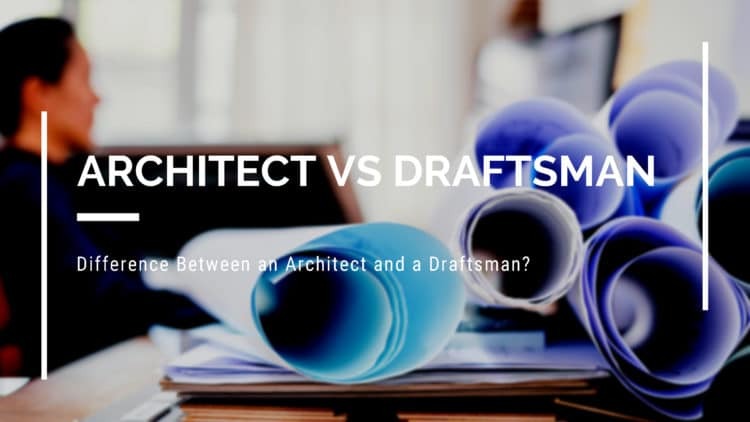 While it’s common to hear those not in the industry use the terms ‘architect’ and ‘draftsman’ synonymously, they are not the same thing. There are significant differences between the role of an architect and that of a draftsman and it is important to understand both so you can make an informed decision about which one to call upon for your next building project. Architects and draftsmen play similar and important roles in the Australian building industry; both prepare CAD (computer aided design) drawings and both can work on construction projects. However, the two positions also have very different responsibilities and require different skills, experience and educational backgrounds. The major difference between an architect and a draftsman is the educational background. An architect must complete an undergraduate university degree (generally a three year course), followed by a two year Masters of Architecture. After this, the graduate is required to complete a minimum of two years of practical experience before he or she can register as an architect in their chosen state and be granted a license to practice architecture. A draftsman on the other hand, is only required to complete a TAFE or similar course that will teach them CAD design. The study to become a draftsman is not nearly as rigorous as an architecture degree and the average time required to become a qualified drafter is two years, as opposed to seven. With more time spent studying, architects obviously have more responsibility and are generally able to tackle more complex designs than a draftsman. An architect may be involved in a project from start to finish, helping out with anything from planning, design and documentation, to contract administration and project management. In contrast, a draftsman is someone who produces drawings for construction projects, whether it is a brand new build or a renovation. They are specialists in the field, who work closely with clients to create clear and concise drafts for builders to follow. Some draftsman also get involved in the construction side of project on the more complex designs, this is always helpful for the builder when any minor issues arise. Should I hire an architect or a draftsman? If you’re looking to embark on a big construction project, particularly if it’s a commercial build, you should probably look to hire an architect. This is to ensure your construction is built safely, with the correct materials and abides by all necessary building regulations. However, if your project is relatively simple or you’re merely looking to renovate your home, an experienced draftsman can be an excellent option at a fraction of the price. Ultimately, the decision of architect or draftsman should be a personal one and should largely depend on your budget and the complexity of your project. An architect undergoes seven years of study for a reason so if you’re looking to create something incredibly intricate or out of the ordinary, it pays to hire a trained professional. As with all parts of the building process, it always best to get quotes from both parties first and weigh up your options before making a final decision. To find out more about the difference between an architect and a draftsman or for help selecting one, get in touch with Smartbuild South Coast today.